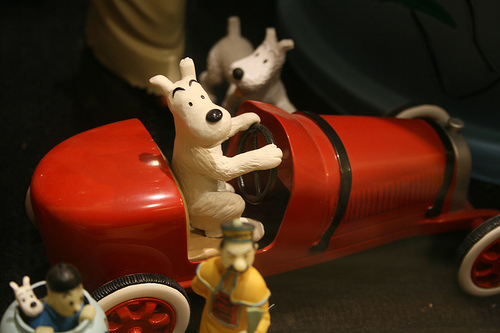 In the earlier episodes Snowy is shown to speak … but later on this part of his character is absent although the reader can see him thinking in human words (Herge used the bubble speech technique founded in America). 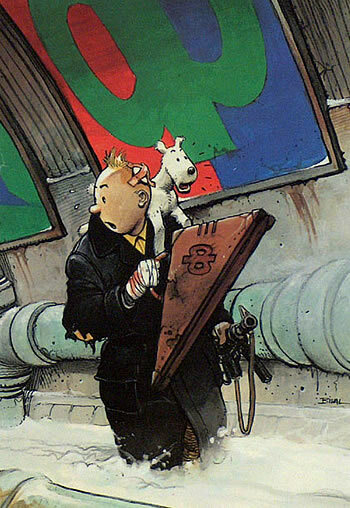 Herge was attempting to make Snowy more “dog-like”. This obstacle doesn’t however stop Snowy from being able to communicate with Tintin. Snowy character is written in such a way as to interest the reader. Snowy is the only one for instance in Flight 714 to remember being abducted by aliens. 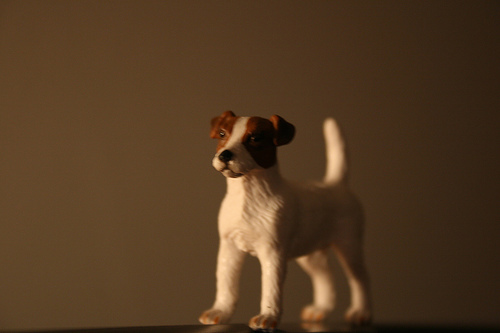 Snowy the wire terrier is seen to save Tintin a numerous times over the years (often by gnawing through restraints or seeking help) or has managed to get them out of convoluted conditions by biting or distracting a villain. 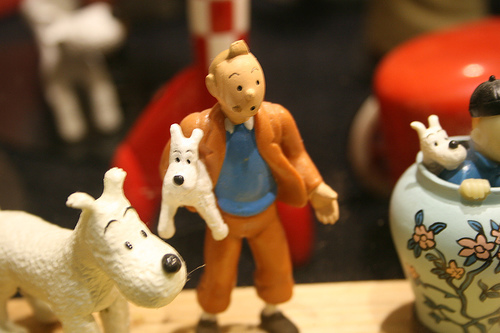 Snowy does have his weaknesses that only serve to make him loved by Tintin fans. Snowy like the irrepressible Captain Haddock has a taste for Loch Lomond brand Scotch whisky and also aversion to spiders as the dog suffers from arachnophobia. Photographs by Dakini at Flickr.